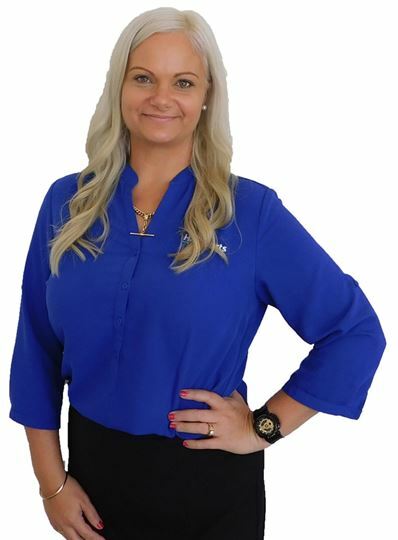 Kristy has vast previous experience as a local property manager, she has joined Harcourts Redcliffe from another local agency and is enjoying the change. Kristy loves the fast paced environment of our property management department, and is thriving applying her knowledge to the role of Property Management Kristy’s passion for the industry is genuine and enduring. She is forever aware that customer service is what it really boils down to. Having been working in the Real Estate industry for 4 years her dedication to her clients has always been above and beyond expectation. Amiability, reliability and a thorough work ethic are just some of the qualities that Kristy’s possesses. Kristy is dedicated to servicing our investor’s and tenant’s every need from the beginning to the end of a tenancy. Kristy can be contacted regarding all facets of her portfolio's management, you can rest assured you’re in the most professional hands.